I join this tour with gowest, they used van which is good to me as small group and more efficient. the tour guide and driver is Ryan, he is good, friendly and helpful. the tour is nice which I would recommend to my friends and the view along the Ocean road is stunning. Good trip! 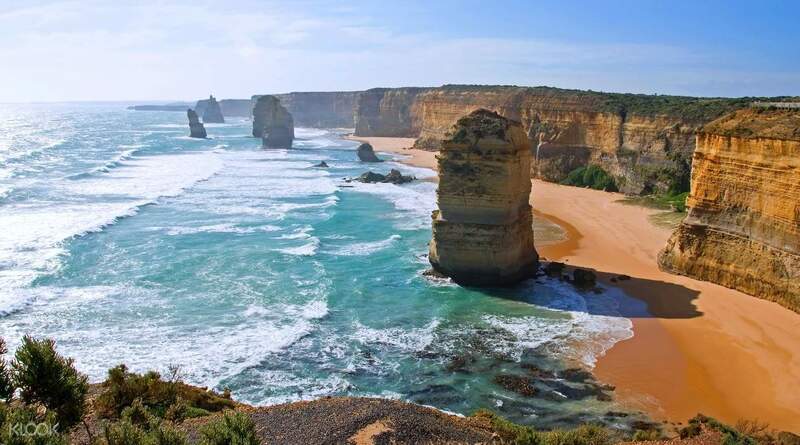 The iconic Great Ocean Road is a classic road trip and a must-do on many Australian bucket list! On this convenient bus tour, you'll be able to experience a hassle-free journey. Keep your eyes glued to the scenery and see national parks, coastal towns and golden beaches dotted along the way. You'll be able to explore all the highlights, from the coastal town of Apollo Bay to the iconic 12 Apostles and Loch Ard Gorge. 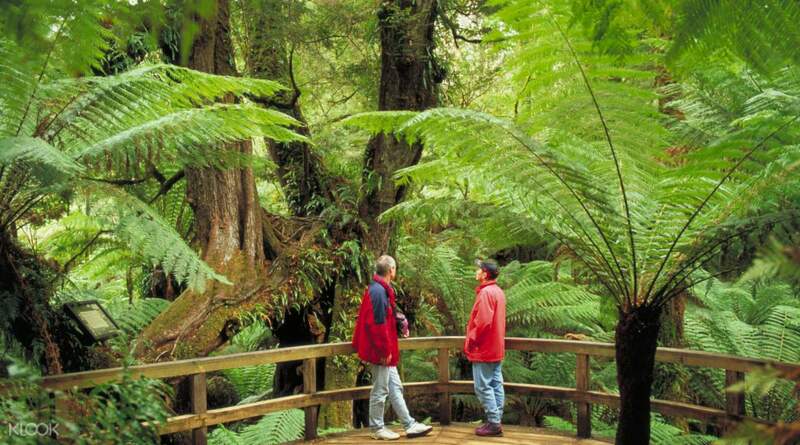 Stretch out your legs at the Great Otway National Park and breathe in the fresh rainforest air as eucalyptus trees tower over you. On this trip, you will feel like you have truly escaped the city and gone into the wild. The trip was very long ... almost 13 hrs from pick-up to drop-off but worth every minute! Chris, our guide was very friendly, knowledgeable and shared loads of story about the many different places visited. Have already and will continue to recommend this tour to friends and family! The trip was very long ... almost 13 hrs from pick-up to drop-off but worth every minute! Chris, our guide was very friendly, knowledgeable and shared loads of story about the many different places visited. Have already and will continue to recommend this tour to friends and family! Excellent Go West Tour! Arrangement was smooth with almost instant reply. Enjoyed the journey so much, with Emily sharing the interesting stories of each spot. Lunch was so great which is out of our expectation! Klook got an awesome partner to collaborate with. Excellent Go West Tour! Arrangement was smooth with almost instant reply. Enjoyed the journey so much, with Emily sharing the interesting stories of each spot. Lunch was so great which is out of our expectation! Klook got an awesome partner to collaborate with. Very nice and satisfying trip with epic scenic views and wonderful tour guide. This is my second time to join this great ocean road tour and it never bored me! Go west tour has a very good arrangements in routes and nice tour guide to engage us! Definitely a five star for this! Very nice and satisfying trip with epic scenic views and wonderful tour guide. This is my second time to join this great ocean road tour and it never bored me! Go west tour has a very good arrangements in routes and nice tour guide to engage us! Definitely a five star for this! Very great experience!! One of the must go places of Melbourne. The guide knows the spots very well. We managed to see some wild koalas, but not kangaroos. It is a wise way to do the whole trip in reverse order. Sun shines stronger and pictures are better in earlier time of a day. It’s also very nice that lunch is included and pre-ordered. It tastes good and there is vegetarian choice! The morning tea is quite nice. I think it’s actually a toilet break. Coffee, tea, chocolate are offered. It gives you a little refreshing moment after a long drive. Very great experience!! One of the must go places of Melbourne. The guide knows the spots very well. We managed to see some wild koalas, but not kangaroos. It is a wise way to do the whole trip in reverse order. Sun shines stronger and pictures are better in earlier time of a day. It’s also very nice that lunch is included and pre-ordered. It tastes good and there is vegetarian choice! The morning tea is quite nice. I think it’s actually a toilet break. Coffee, tea, chocolate are offered. It gives you a little refreshing moment after a long drive. I had a great time in this tour provided by Go West. Our guide/DJ/driver Juliet was great with such a wonderful sense of humor! We were given tons of information about Australia and the places we visited throughout the ride. We arrived at each stop on time and the entire group was prompt. We were able to go to all the planned places. The Great Ocean Road tour is a must when visiting Melbourne. The next time I go to Melbourne I'll book tours through Go West again. They're very helpful and prompt in responding to my queries. The pick up and drop off were also prompt and hassle-free. The entire trip, though such a long day, was easy and hassle-free. I had a great time in this tour provided by Go West. Our guide/DJ/driver Juliet was great with such a wonderful sense of humor! We were given tons of information about Australia and the places we visited throughout the ride. We arrived at each stop on time and the entire group was prompt. We were able to go to all the planned places. 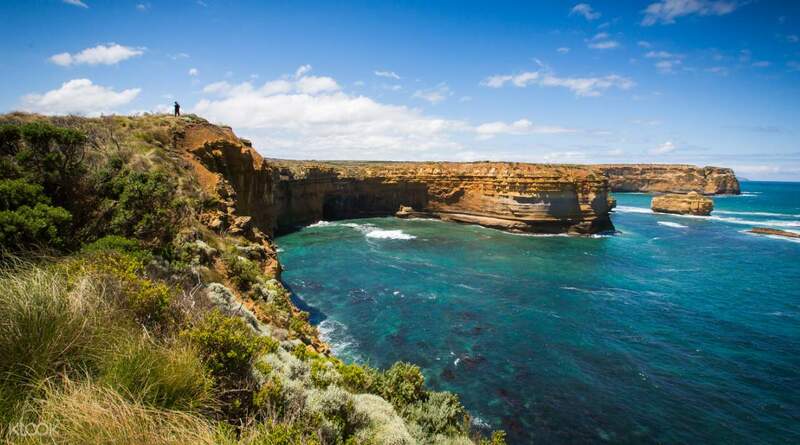 The Great Ocean Road tour is a must when visiting Melbourne. The next time I go to Melbourne I'll book tours through Go West again. They're very helpful and prompt in responding to my queries. The pick up and drop off were also prompt and hassle-free. The entire trip, though such a long day, was easy and hassle-free. Thanks to GoWest for this lovely trip! Thanks to the tour guide, Damon for your humorous talk. Unforgettable road trip with strangers, and I can say it’s an amazing one! Great places we explored, and nice foods we had. Overall is good. Thanks to GoWest for this lovely trip! Thanks to the tour guide, Damon for your humorous talk. Unforgettable road trip with strangers, and I can say it’s an amazing one! Great places we explored, and nice foods we had. Overall is good. Thank you Klook and GoWest Tours... Stefan is the BEST guide we had from all our tours around the world... he would extend great lengths to make his clients happy. Prebooking our lunch and dinner was a first... and it saved us a ton of time, thus enjoying more time on our destinations. Thank you again. Thank you Klook and GoWest Tours... Stefan is the BEST guide we had from all our tours around the world... he would extend great lengths to make his clients happy. Prebooking our lunch and dinner was a first... and it saved us a ton of time, thus enjoying more time on our destinations. Thank you again. I enjoyed this tour! The sceneries were fantastic less the crowd of course. Just prepare to get up early for the call time. You may ask where is the first pick up point so you will have the front seat. Its a long and winding ride. Bring snacks and water. The first stop for the tea time in the morning is lovely. All stops are picture perfect. The guide was so enthusiastic and professional. Thumbs up for the tour agency -Go West! I enjoyed this tour! The sceneries were fantastic less the crowd of course. Just prepare to get up early for the call time. You may ask where is the first pick up point so you will have the front seat. Its a long and winding ride. Bring snacks and water. The first stop for the tea time in the morning is lovely. All stops are picture perfect. The guide was so enthusiastic and professional. Thumbs up for the tour agency -Go West! Kenshi, our tour guide, was efficient. We covered 10 spots along the Great Ocean Road which was indeed awesome. The simple morning breakfast in the park besides the ocean was a delicious experience. He provided good commentaries and background of each locations from entrepreneurs of Ripcurl to Loch Ard Gorge etc etc ....Lunch was great. highly recommended tour. Kenshi, our tour guide, was efficient. We covered 10 spots along the Great Ocean Road which was indeed awesome. The simple morning breakfast in the park besides the ocean was a delicious experience. He provided good commentaries and background of each locations from entrepreneurs of Ripcurl to Loch Ard Gorge etc etc ....Lunch was great. highly recommended tour. Visited multiple places with awesome scenery!!! Lots of pretty scenic places for photos! However, the tour is slightly too rushed... could have better manage the time so can have more time spent per venue. Visited multiple places with awesome scenery!!! Lots of pretty scenic places for photos! However, the tour is slightly too rushed... could have better manage the time so can have more time spent per venue. Q: How can I easily recognize the staff or vehicle at the hotel? A: Our bus is clearly marked with the Go West logo on the front and the sides, and the guide will get off the bus to greet the guests as well.